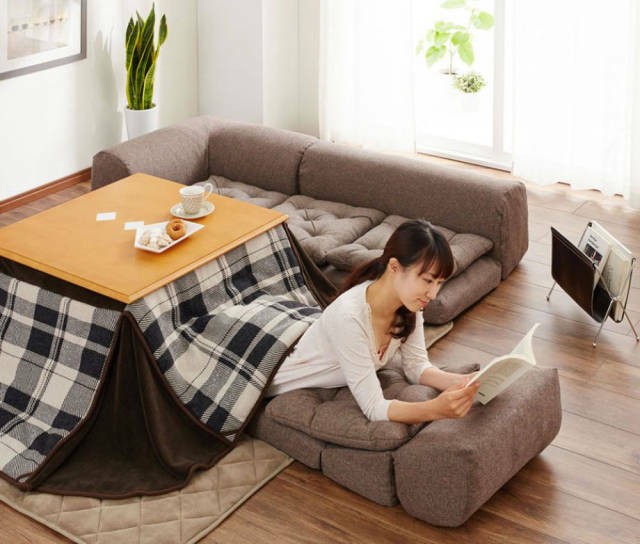 Talk about the ultimate pillow fort! 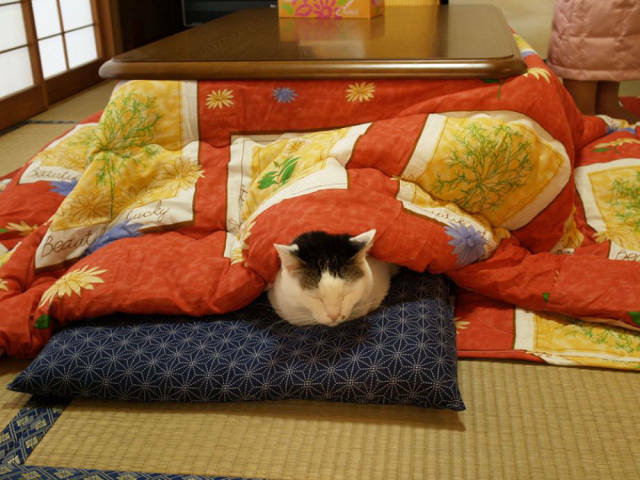 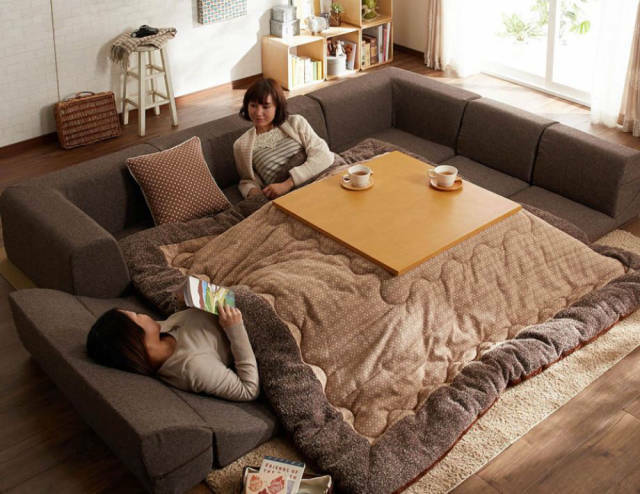 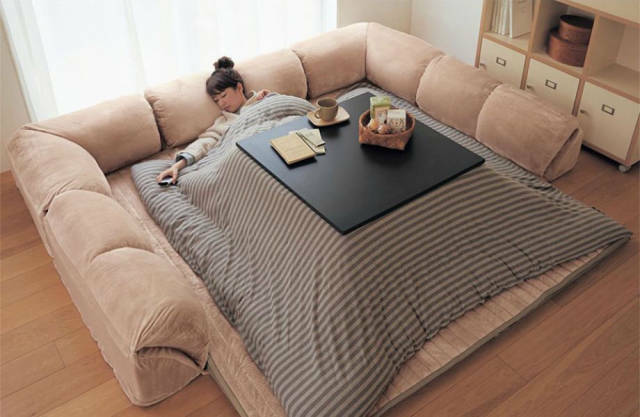 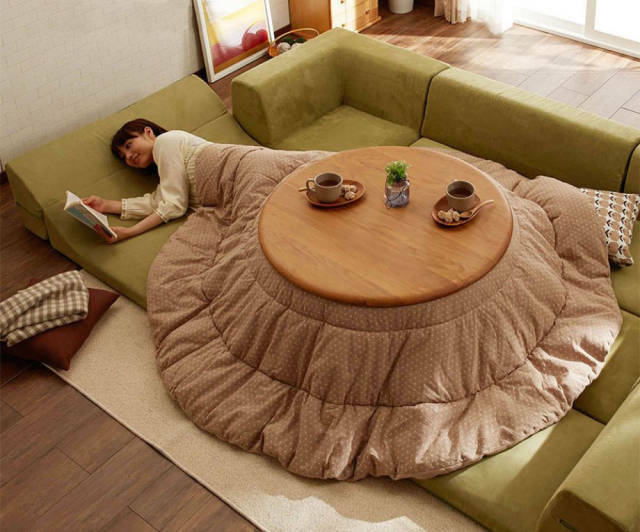 The kotatsu consists of a blanket placed between a low table-frame and table-top, with a heat source placed underneath the blanket. 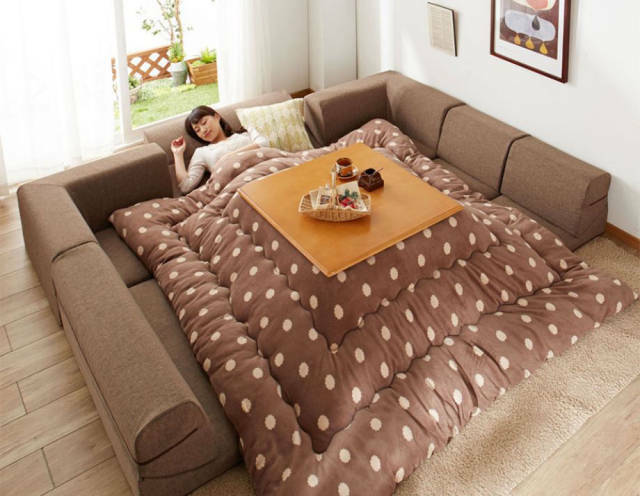 As if getting out of bed was hard enough already.